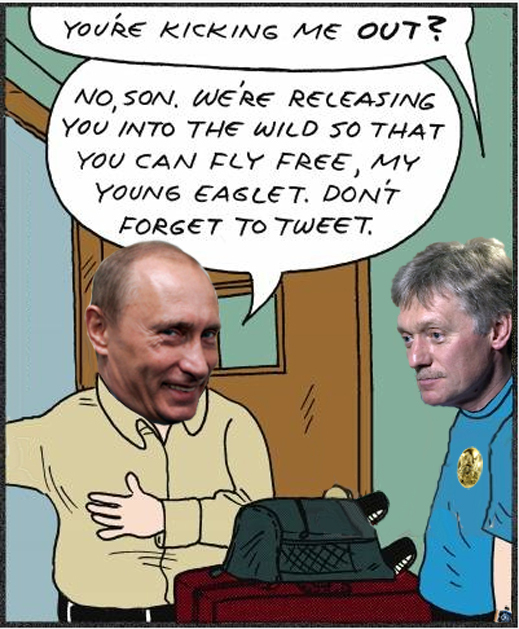 A week ago, a Kremlin press office source claimed that Peskov would be visibly in charge at Putin’s Direct Line national television show on June 7. That was yesterday – but Peskov was neither mentioned by Putin, nor picked out by the cameras during the four-hour broadcast. Tsybulin’s reference this morning to media reports as an alternative to a Kremlin announcement is a hint that Peskov has not been reappointed, and that Putin has not found a replacement for him yet. This is because the Moscow media have reported the fate of everybody on the senior Kremlin staff – except Peskov. 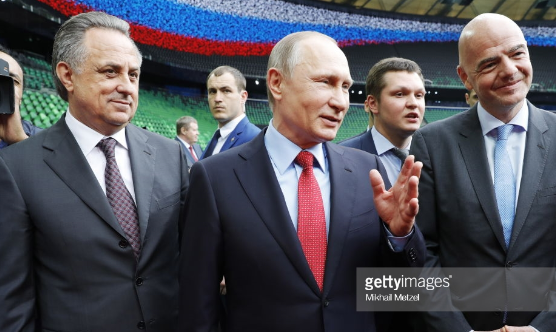 Left to right: Vitaly Mutko, Vladimir Putin and FIFA President Gianni Infantino at the Krasnodar Stadium, May 23, 2017. Left: Alexei Gromov as Putin’s press secretary at the president’s December press conference in 2004. Gromov – like Peskov, a Foreign Ministry diplomat to start with – speaks English, Czech and Slovak. Alexei Gromov, Peskov’s superior on the Kremlin staff list as first deputy chief of staff and Peskov’s predecessor as head of the Presidential Press Office between 1996 and 2008, has been reappointed to his post, according to Moscow media reports.